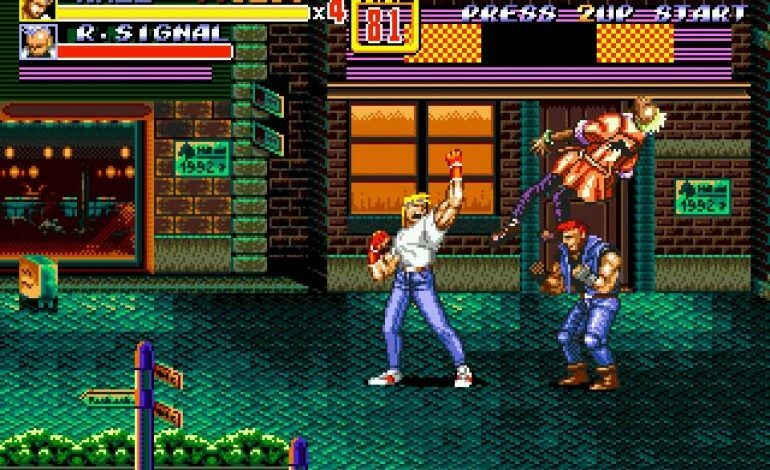 Though Yuzo Koshiro has produced scores for countless respected games, like ActRaiser and Nihon Falcom’s Ys series, his name is most synonymous with one of the most revered video game soundtracks of all time: Streets of Rage 2 (or Bare Knuckle 2 in Japan). Slip his name to any video game music aficionado and their eyes will likely light up with memories of tracks like Slow Moon and Go Straight. Koshiro’s blend of various electronic, funk, grime, synth, breakbeat, and house sounds gave way to a digital witch’s brew of infectious musical textures that disrupted the chipper status quo of video game music at the time. Indeed, it even influenced – and is respected by – many contemporary DJs who grew up listening to his tunes. The fact that Koshiro composed all of the game’s music on a self-created programming language is particularly impressive, especially considering how his music predated similar-sounding, popular 90s genres like trance. And now you can own a copy of the Sega 1992 classic’s soundtrack on vinyl record. In addition to being a double LP, the release will include four bonus tracks of demos, alternate versions and unused compositions, and two lithographic prints featuring archival artwork, all wrapped together in a traditional Japanese obi strip. Three versions of the vinyl will also be available: a limited-edition transparent vinyl with black smoke effect and blood splatter, a transparent vinyl with black smoke effect (no blood spatter), and a classic black vinyl. The regular black vinyl will be available for £22.99 ($32.24 US). Those who order the vinyl should expect to receive it some time in April. A full track list can be found in the above link. Fans of the Streets of Rage series and of video game music in general will definitely want to pick this vinyl release as soon as possible. It goes on sale February 27 and will be able to be ordered from here. And if you’re just getting your feet wet in the world of video game music, this could be your perfect opportunity experience one of the medium’s – and Yuzo Koshiro’s – outstanding works.